A dashboard	is a page that displays and organizes data to be analyzed easily and efficiently. Dashboards use reports, charts and other components that allow users to quickly and easily interpret information. 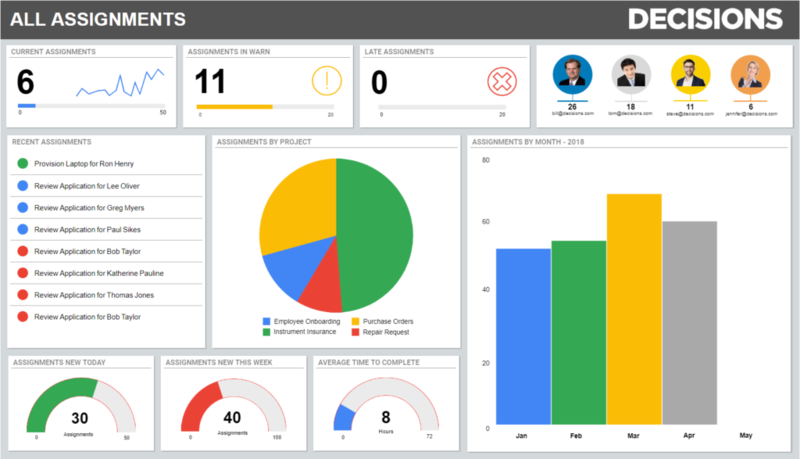 A dashboard can be utilized for many different reasons and by different people in different roles. Their purpose is to display the most relevant and important data for the end user. The system updates the data on a dashboard when the user opens the folder containing the dashboard. While viewing a dashboard a user can refresh the portal to view updates to the data, although reports used on dashboards can be set up to refresh every time data changes on the report. 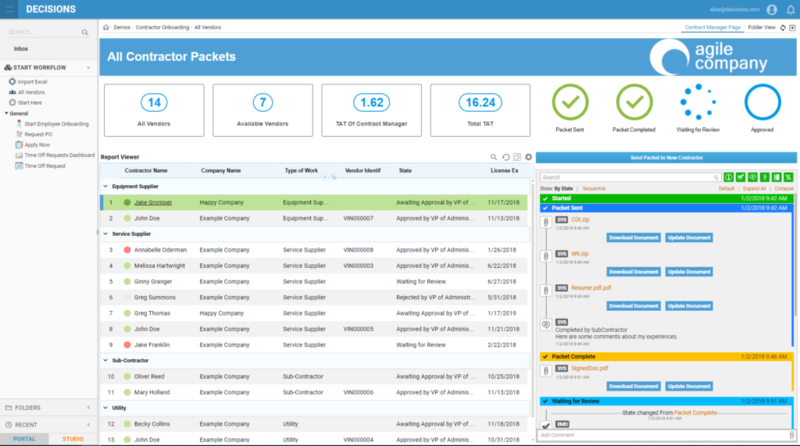 Dashboards are built within Designer Folders	in the Studio	then need to be added to a Folder	for end users to access within the Por	tal	. Below are examples of Dashboards	displaying data in different ways. The dashboard below features Diagram Tiles	. To learn more about Diagram Tiles	click here.